Thousands of people from around the world will gather at the Self-Realization Fellowship World Convocation August 6-12 in Los Angeles for spiritual renewal, including group meditations, kirtans (devotional chanting), and classes on the Kriya Yoga teachings of Paramahansa Yogananda, widely regarded as the father of Yoga in the West. Brother Nakulananda, a senior monastic of SRF, will give one of the public lectures this year entitled “Cultivating the Power of a Devotional Heart.” In the article that follows, Brother Nakulananda describes meditation through the lens of Kriya Yoga, brought to the West by Sri Yogananda, who founded Self-Realization Fellowship in 1920. For more information, visit www.yogananda-srf.org. 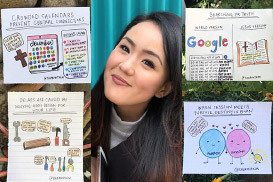 Meditation is ever a popular topic in the headlines, with various studies extolling the practice’s benefits for stress reduction, physical health, and better brain functioning. But for many of those with a spiritual practice, meditation serves, above all else, as a pathway to the Divine. Indeed, the supreme purpose of meditation is to know God, to reunite the individual soul with Spirit. Paramahansa Yogananda, author of the spiritual classic Autobiography of a Yogi and the founder of Self-Realization Fellowship (the organization I serve as a monk), describes meditation as concentration used to know God. Through the practice of various techniques, one learns to withdraw the mind from all external objects of distraction and to put that freed attention upon God alone. Yogananda said that the rishis or sages of ancient India discovered that the key to entering this calm, interiorized state of meditation lies in scientific mastery of breath and the life energy in the body. To achieve that mastery, the ancient rishis developed the science of pranayama, life-force control. Pranayama, as practiced in the techniques of concentration and meditation taught by Yogananda, enables us to enter a state of deep inner stillness, in which the usual restlessness of body, breath, and mind are replaced by a wonderful experience of peace and superconscious perception of the presence of the Divine within us. Meditation is central to the teachings of Yogananda, whose mission was to make available to all truth seekers a knowledge of definite scientific techniques for attaining direct, personal experience of God –– particularly Kriya Yoga (a sacred pranayama technique of meditation that works directly with the life energy in the body to produce higher states of consciousness in which one communes with the inexhaustibly blissful Spirit). "I am a spark from the Infinite. I am not flesh and bone. I am Light." It is because our attention is constantly focused on the body and this outer material world that we don’t feel God’s presence in our lives; but with regular practice of interiorizing the life force and consciousness in meditation, we begin to experience God’s presence within. Yogananda says that pranayama, specifically Kriya Yoga, is the fastest way to realize God in our lives because it works with the very thing that is limiting our awareness to this material world –– life force directed outward through the senses. By practicing pranayama, we learn to reverse the searchlight of the attention from the outer to the inner world. It is suggested that one have a period of meditation upon arising in the morning and before retiring at night. In the beginning, if one can put in even ten or fifteen minutes, this is a good start. Basic instructions in meditation –– which anyone can learn and practice right away –– can be found in Yogananda’s books Metaphysical Meditations and Inner Peace. In his Self-Realization Fellowship Lessons, one learns Yogananda’s most powerful techniques of concentration and meditation. With these it is advised to set aside a longer period to practice the techniques, and then sit quietly and pray or talk to God in the language of your heart. Normally the first experience in meditation is peace. As one continues to practice, peace deepens into joy, love, wisdom, and other attributes of God and of the soul. Yogananda said that the various progressive states of soul awakening are accompanied by an ever-increasing accession of inner peace and joy. In the most exalted states, soul and Spirit become reunited in ecstatic, blissful communion, or samadhi. When your daily life is filled with family and work responsibilities, setting aside regular time for meditation can be a real challenge. But in this modern world, with its complexities, uncertainties, and stresses, it is particularly helpful, and essential, for one to cultivate the habit of daily meditation. Meditation helps in the development of a better perspective in dealing with all of life’s demands, since meditation brings peace, calmness, and better concentration. The more one meditates and feels the beneficial results, the more one will want to meditate, and the better one can fulfill daily duties and responsibilities. Ultimately, this greater peace, balance, and inner guidance will lead to a permanent state of sacred joy and unconditional divine love. Brother Nakulananda is a regular speaker at the annual SRF World Convocation, which this year takes place from August 6-12 in Los Angeles. For more information, visit www.yogananda-srf.org. 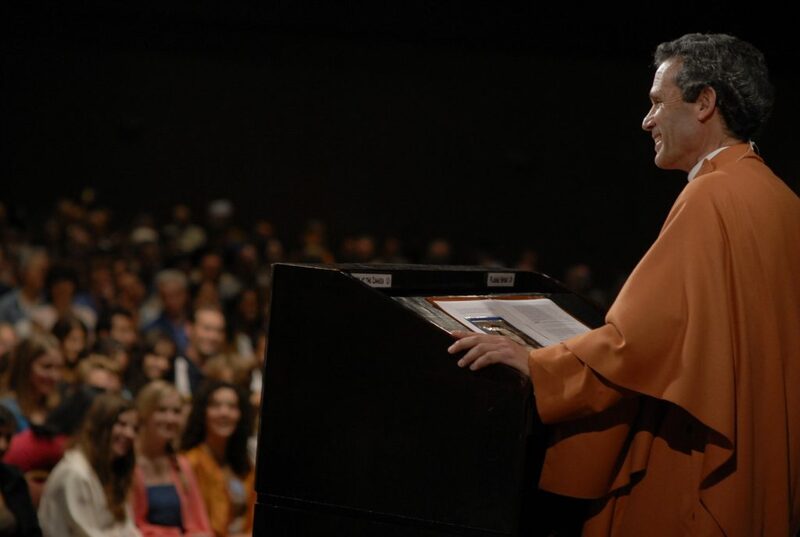 Born in Los Angeles, California, Brother Nakulananda has devoted himself to deep meditation and spiritual study as a monk in Paramahansa Yogananda’s Self-Realization Fellowship monastic community for more than 30 years. 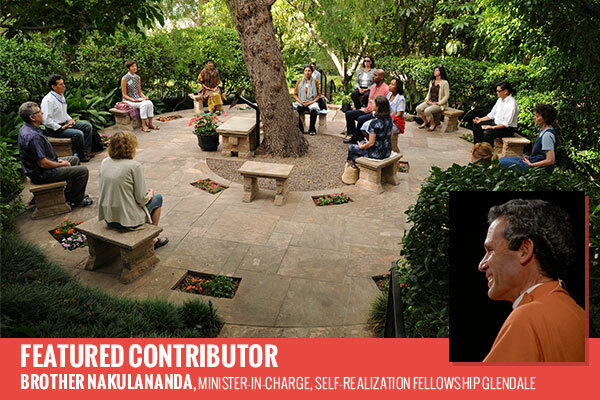 Brother Nakulananda — whose name means “bliss through following spiritual precepts” — serves as minister-in- charge at the Self-Realization Fellowship Temple in Glendale, California. He has lectured in major cities in the U.S., Europe, Australia, New Zealand, and India on the ancient science and philosophy of Yoga and its time-honored tradition of meditation. He is a regular speaker at the annual SRF World Convocation.